We mean it. We measure our success by the success of our clients. Our system works consistently because we constantly improve and adapt it to generate the most cost-efficient leads. We do this by capitalizing on our knowledge of Google’s search engine and our Best Seller website design. Everything we’ll do for you already works for our clients. We don’t guess. We know what works. Our metrics are constantly refined to learn more. We specialize in generating leads for the home improvement industry. Our results speak for themselves. Our system is constantly updated to exploit every trend. We’ve done it for over 25 years. 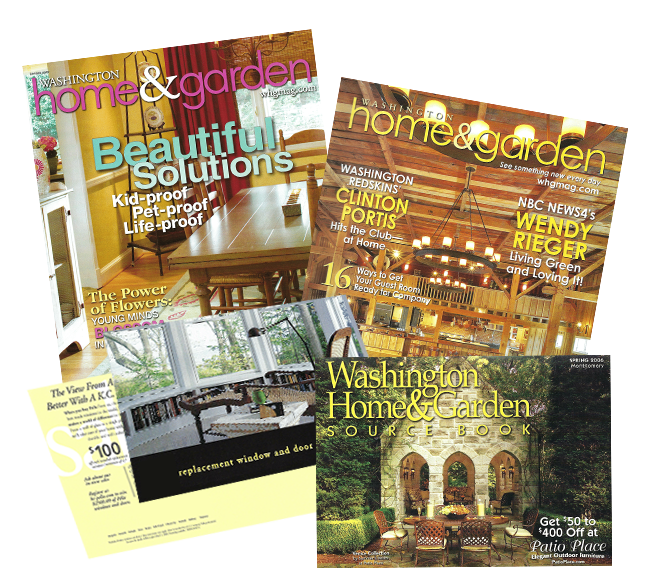 Before the internet, we created leads with our direct mail company, MostMail, and our magazine, Washington Home & Garden. We entered the internet age with a headstart in content marketing, design, special offers and targeted geography all aimed at the affluent homeowner demographic. We achieved spectacular results in one of the most competitive markets there is: the Washington D.C. metro area. Washington is flush with cash, and there is cutthroat competition between landscapers and fence contractors to get a cut. Our clients have outperformed competitors spending way more money. It’s our decades of experience that let us get results where big spenders can’t. We save our clients a lot of time and time is money. Here’s how. No one keeps clients as long as we do. Our competitors get lazy and their clients’ leads decline. Their clients have to spend time to find another digital marketer. Our clients have not had to do that for 5, 10, 15, even 25 years. That saves a lot of time and a lot expensive mistakes, too. We innovate so our results never stagnate. save more money than our fee. We’ve decreased our clients’ cost per lead in Google local, Google organic, and Google Ads (Formerly Adwords) for years. Lower Cost Per Lead Everywhere. We track and analyze our clients’ entire marketing budget to get better results with less money. We give better insights because we have more experience in magazines, radio, television, newspaper and direct mail than any of our clients or our competitors. Our insights in the home and garden vertical come from years of generating leads for landscapers and fencing contractors. We know what works for your industry, and our holistic approach can work for you on several levels: pay-per-click, search engine optimization, website development, marketing consultation and sales knowledge. Your digital lead generation program will be a huge part of your business. You don’t want a technical agency handling your online presence. Most SEO firms have a lot of expertise in general website building and search engine optimization, but they can’t tie them together with fence and landscape marketing knowledge. You need a firm with decades of home and garden experience. Every landscaper or fencing contractor is different. We have the big-picture thinking down, but then our onboarding process takes it the extra mile. We discover your unique marketing advantages and use those to create compelling content and advertising. Your new digital marketing will be your company’s best seller. Our consultative process lets us dig into the nitty-gritty details about what makes your firm tick and engineer a selling machine based on those insights. The ultimate cost saving is to get more leads that convert into sales because you get revenue without additional overhead. We want you to make more, so you will remain our client. We save you money on all your marketing and generate more revenue than our competitors could ever dream of. That means we really cost less. It’s a simple math equation. Your returns – our fee = huge ROI.